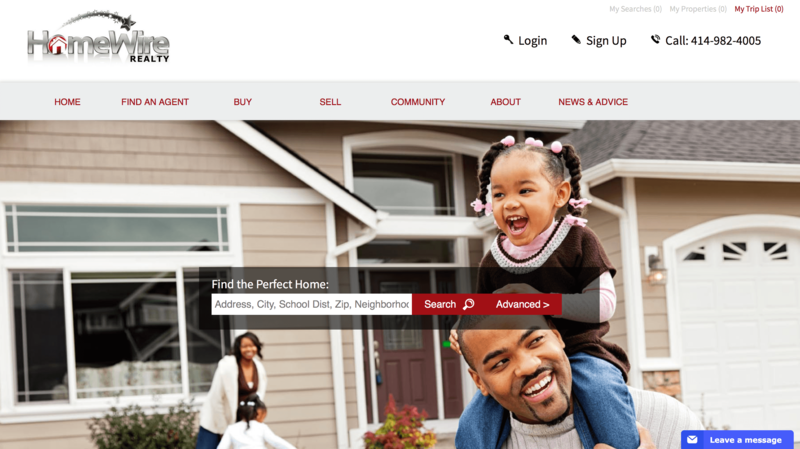 What the business is about : HomeWire is a Wisconsin based realty company that offers homes for sale in WI. They pride on having every realtor listed with them, and assure customers that all their listings are legit and available. They also provide assistance with neighbouring amenities for each listing so their customers can make an informed decision, without hassles. They wanted their website to reflect how they stood out and also talk about the different services they offered.